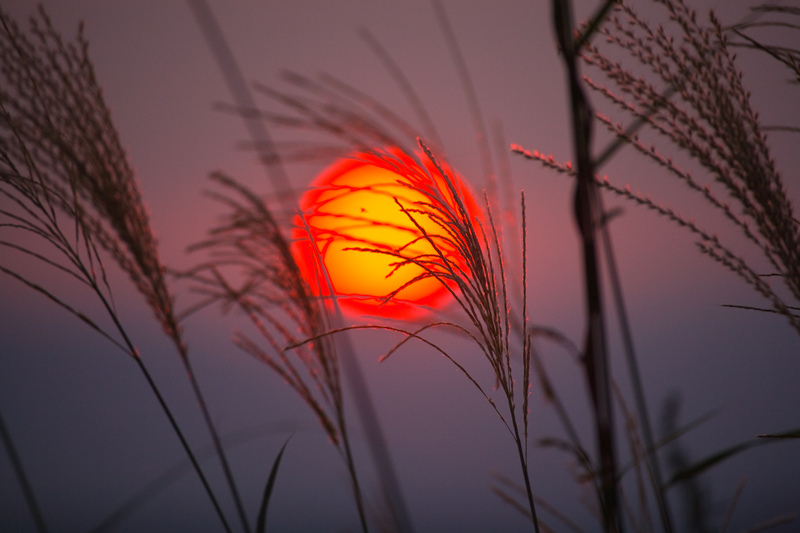 A setting sun seen through fringe of pampas grass heralds the night, a time when Basho enjoyed socializing. He often lodged in the houses of friends, students, or admirers, joining them in composing haikai—linked verse. He also stayed at shrines, where the discipline of the monks deeply impressed him. And at least once, according to his diary, he slept outdoors, witnessing the sunrise on the snowy heights of mount Gassan.